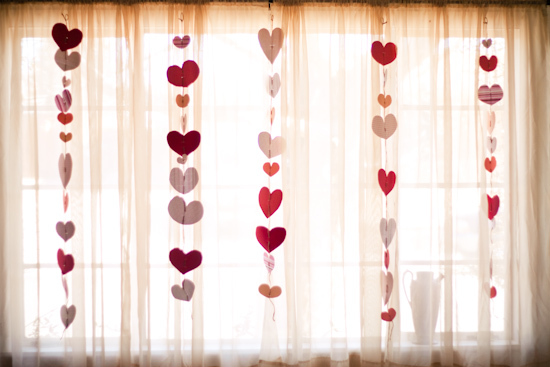 I don't have much in my collection when it comes to Valentines decor, but last year I was able to put together this fun heart garland. It was very inexpensive and took hardly any time at all to make! 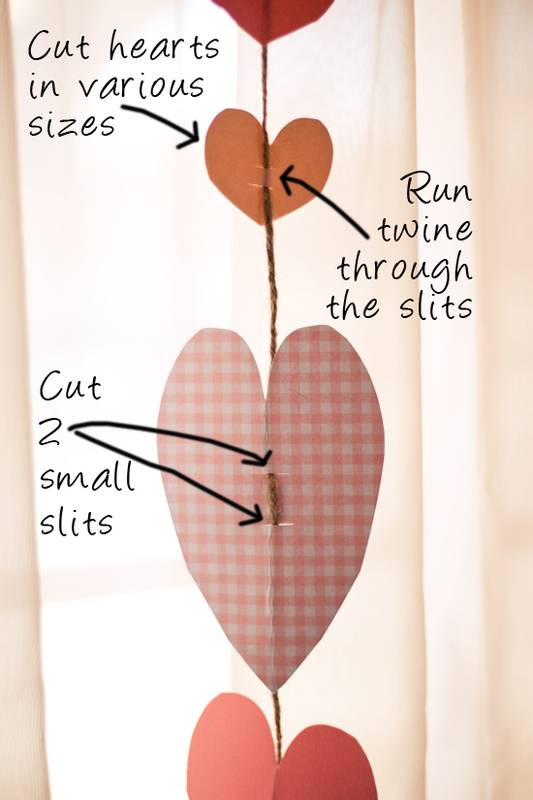 Materials: "Valentine-ish" paper, thick yarn or twine, and scissors. 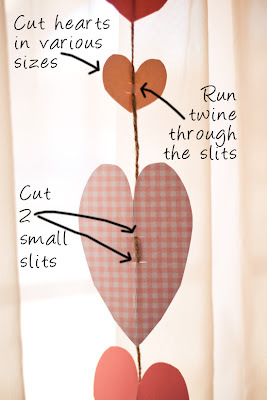 Instructions: Cut hearts into various sizes. Make 2 small slits in the center of each heart. 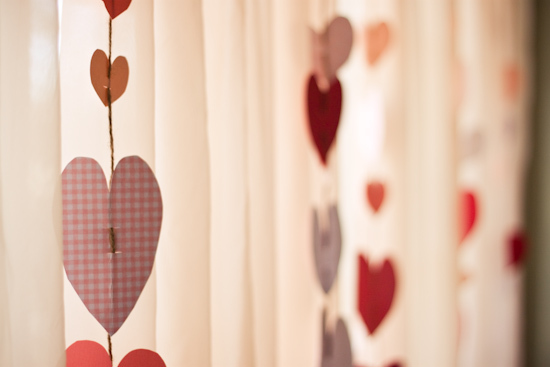 Run a long strand of yarn through the slits of each heart (each of my stands has about 10 hearts). Hang in desired location! This is so pretty! It looks so good in front of all your windows! 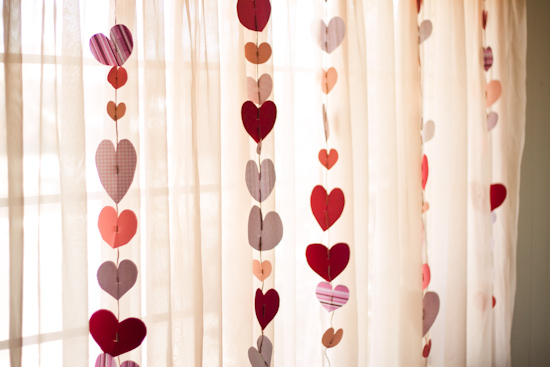 Love the beautiful heart garland. That looks like something kids would remember every year! LOVE this. I'm not much of a sewer sand usually cute garlands like this require some sewing! So this is one I can attempt!! Thanks for sharing. Love your blog. Keep up the amazing work! !